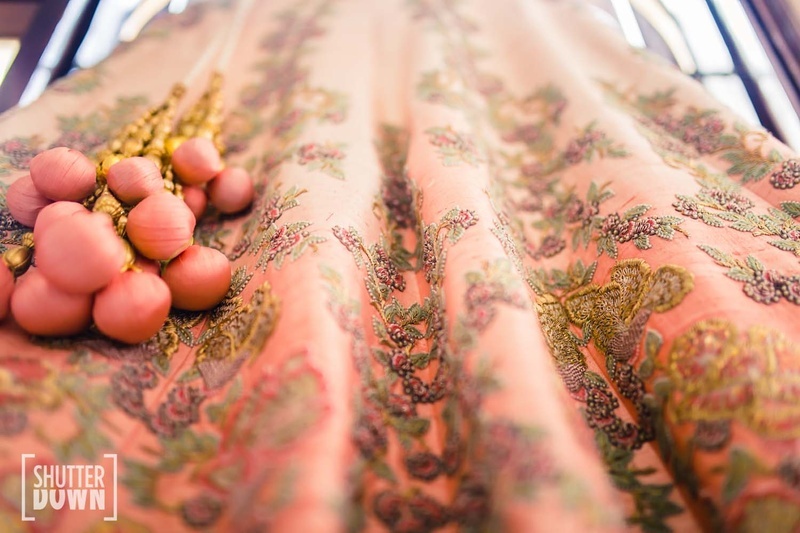 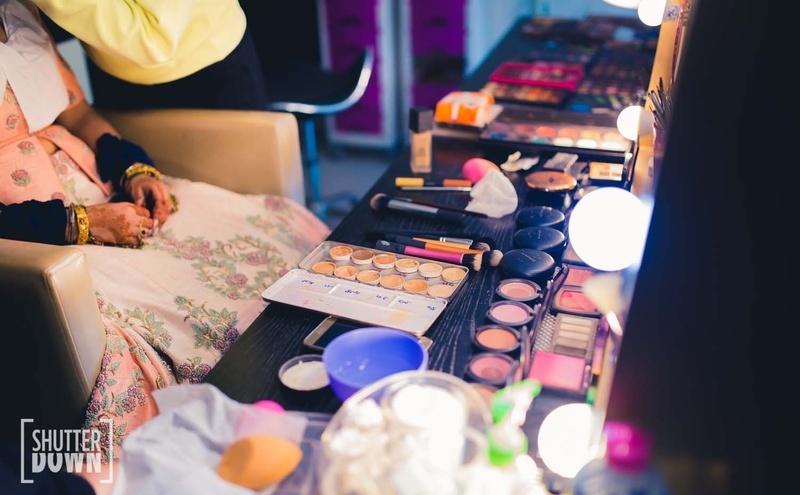 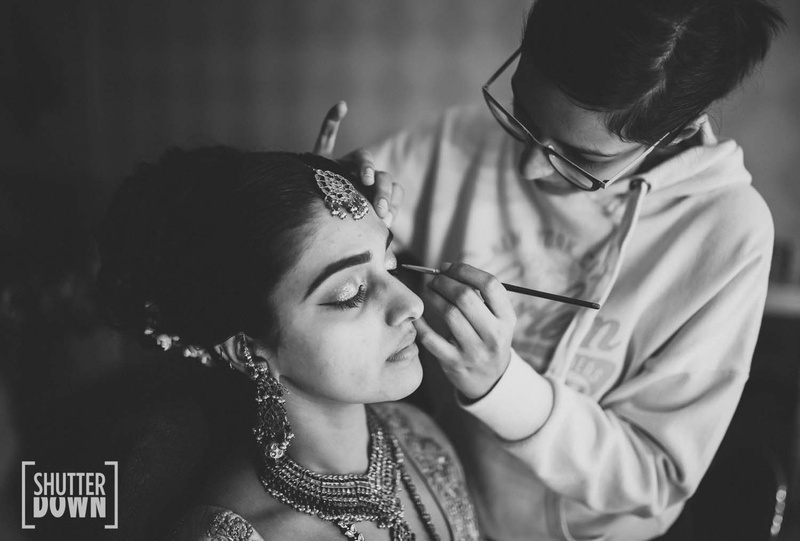 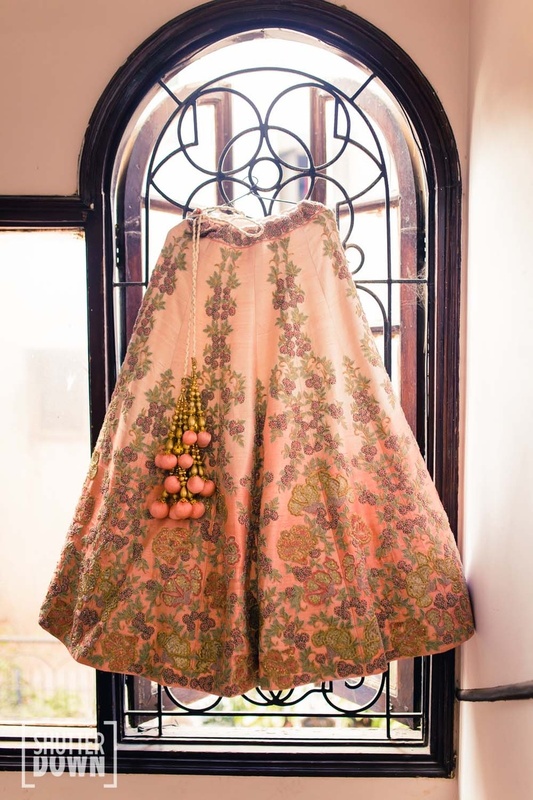 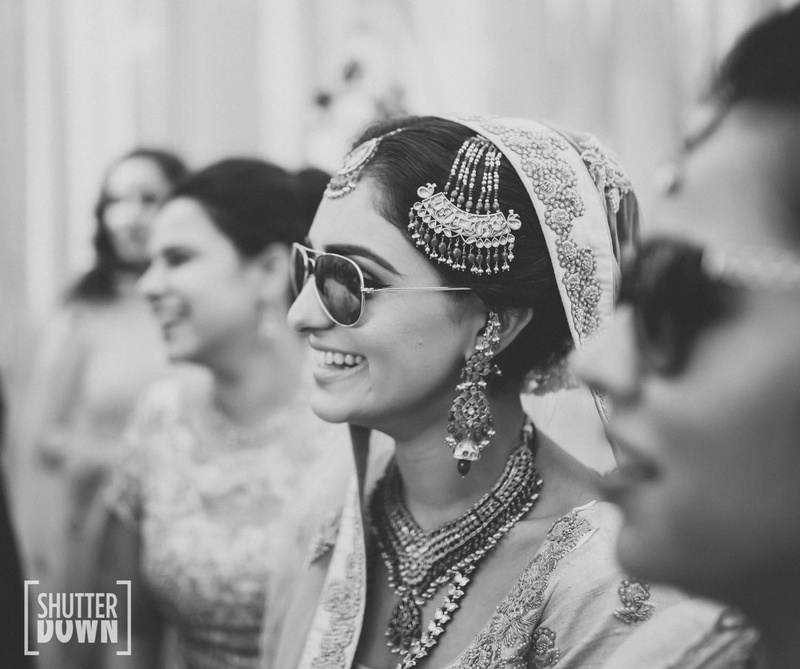 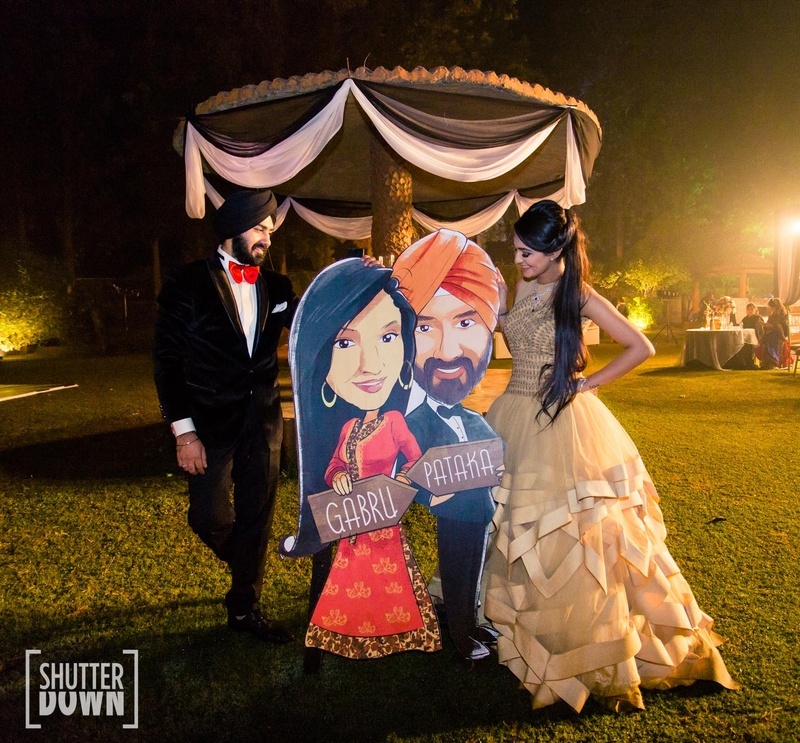 Quirky Decor, beautiful outfits and and even more gorgeous bride make up this amazing wedding! 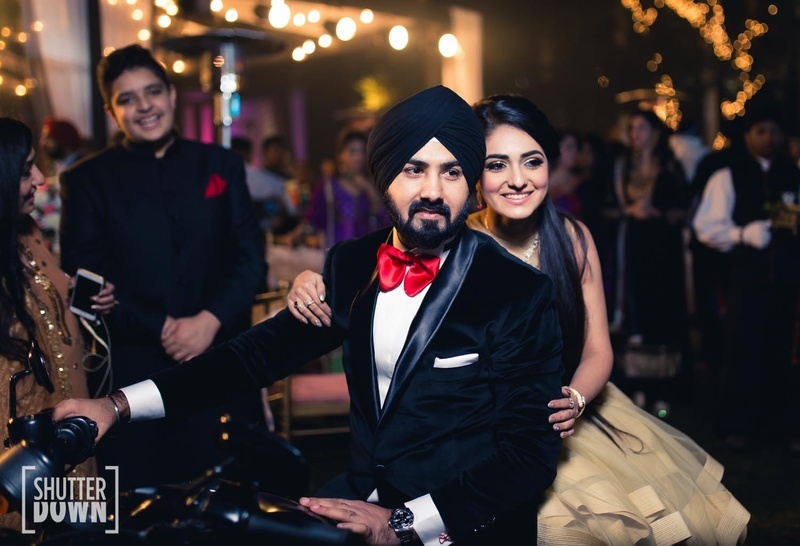 Meet Mannat and Manmeet, two people who just couldn't have been meant for anyone else other than each other. 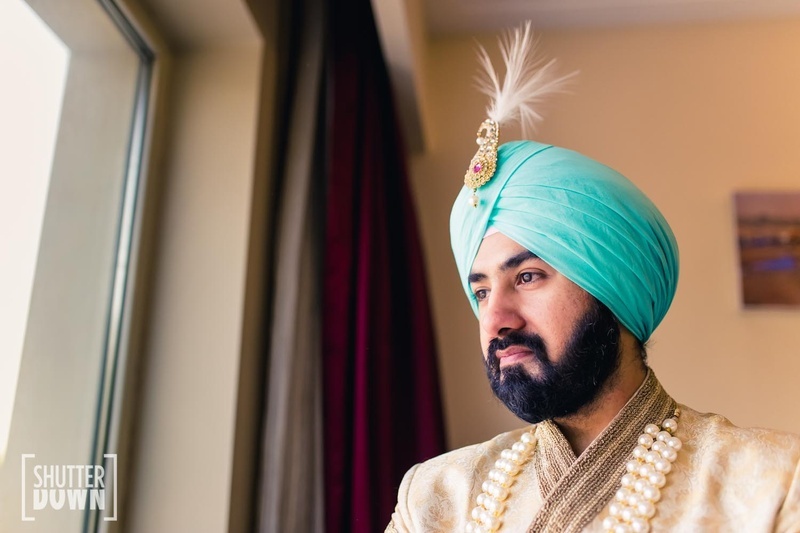 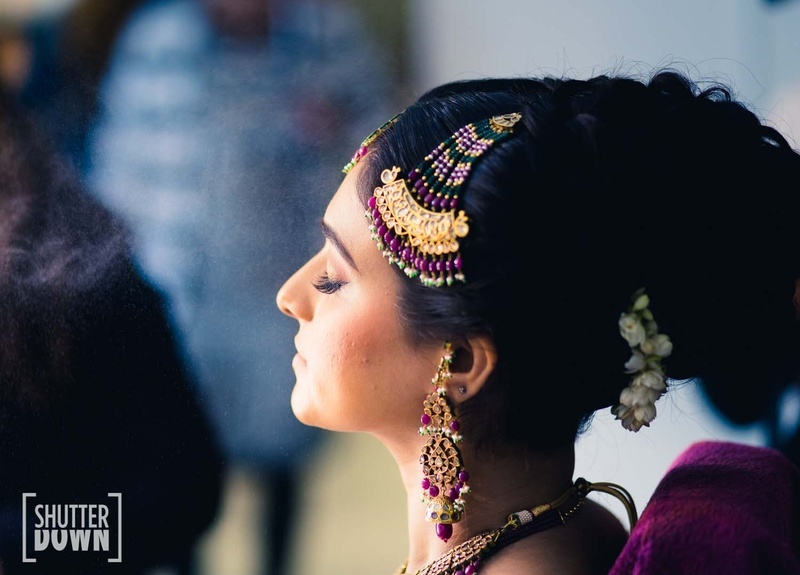 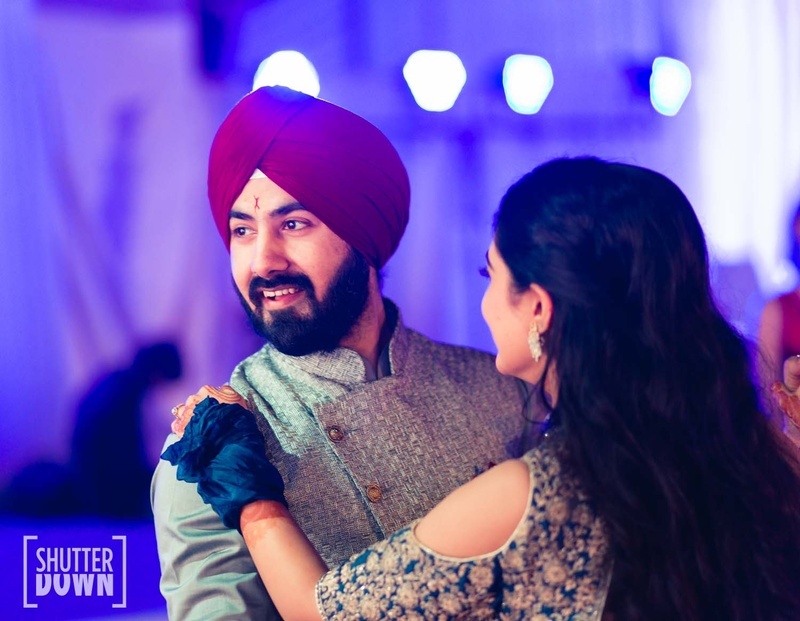 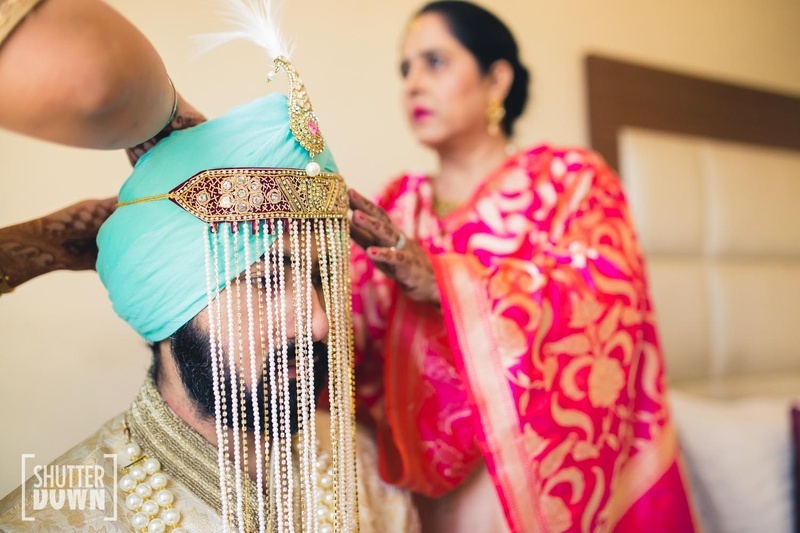 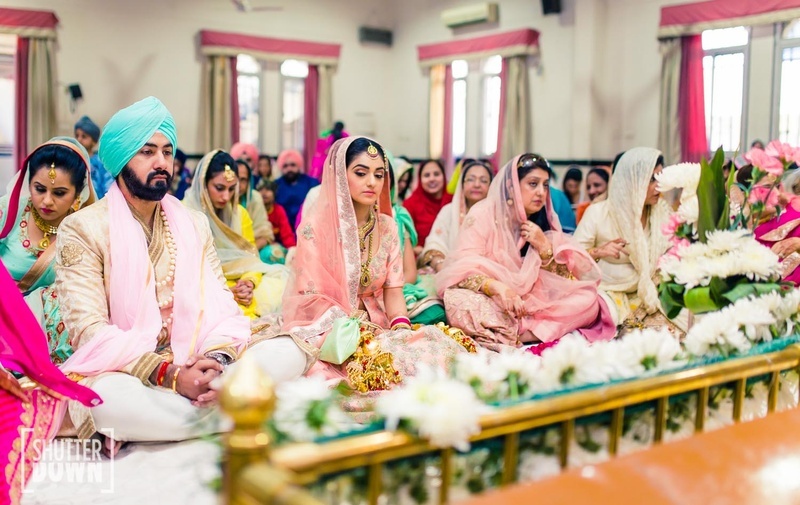 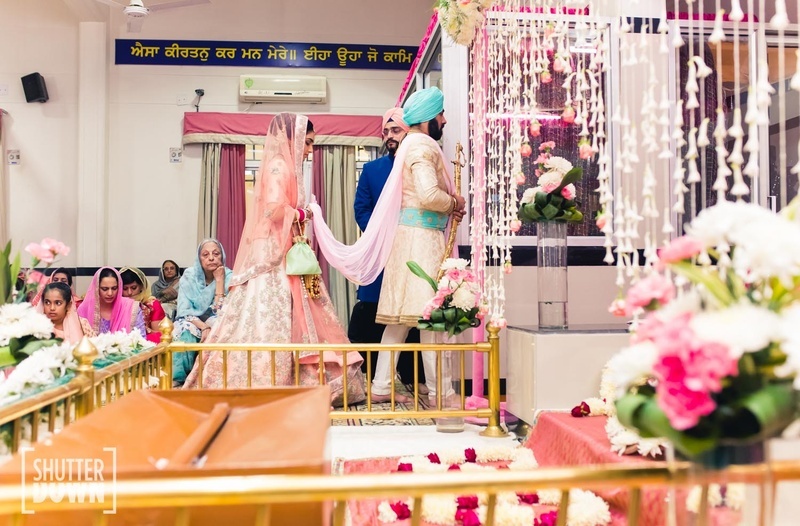 As they tie the knot in a gorgeous gurudwara, their wedding showcases just how in sync the couple are! 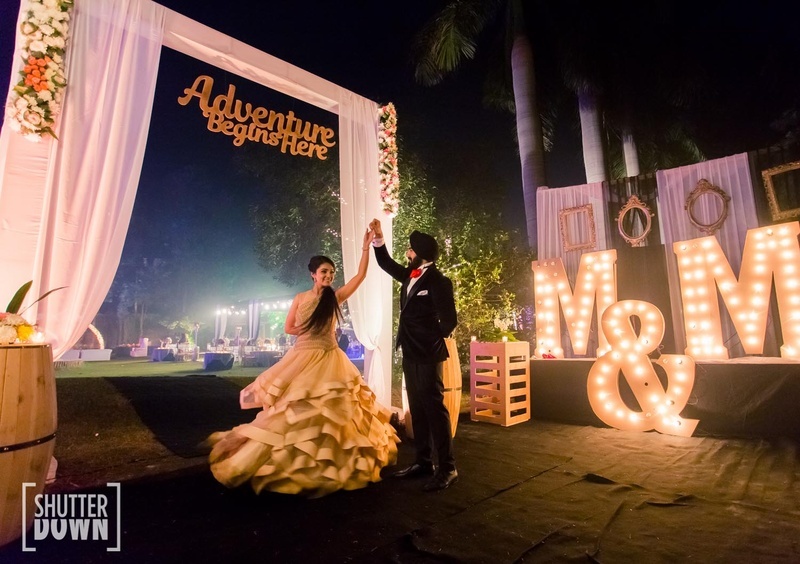 From color matched outfits to the perfect combination of elegance and fun in their decor, this wedding has it all! 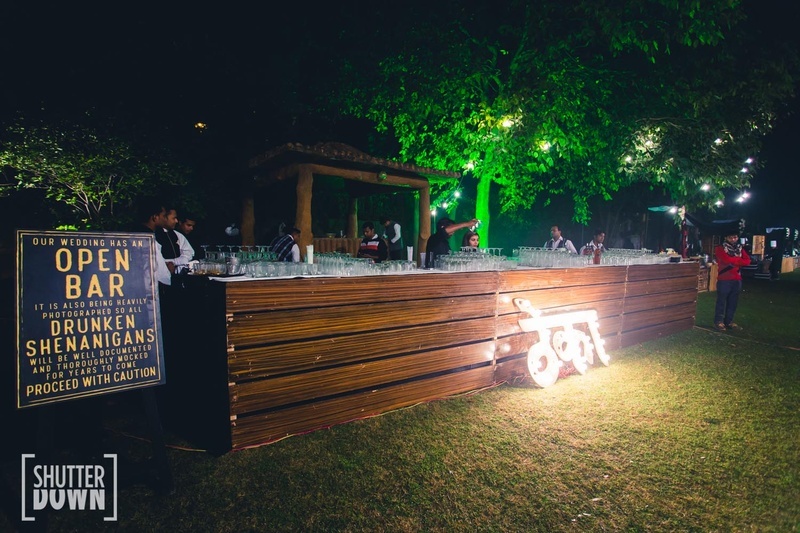 The pair are even in the same business of serving people the most delicious food and dessert ever. 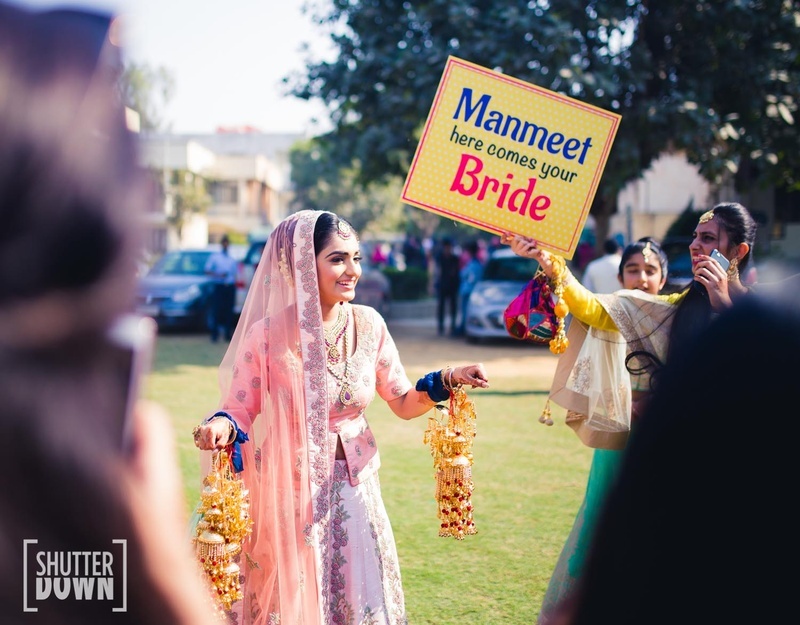 And we mean, EVER! 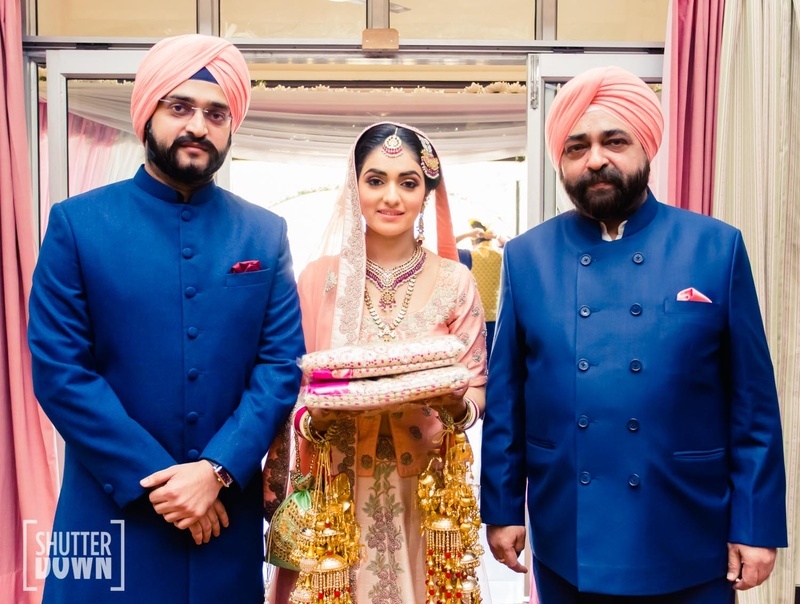 Mannat, baker and owner of Sinful Treats and Manmeet, owner of Cafe Chehel Pehel (how cute is that name, btw) met through an arranged meeting by their parents. 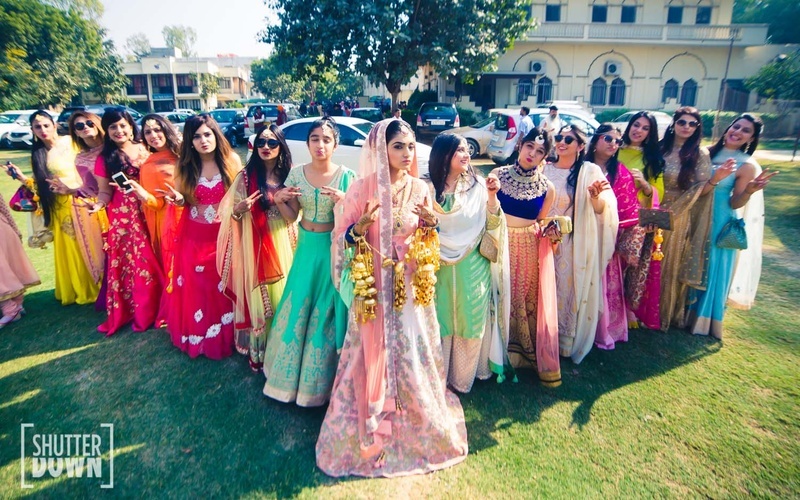 They had the added advantage of living in Delhi and catching up without their parents. 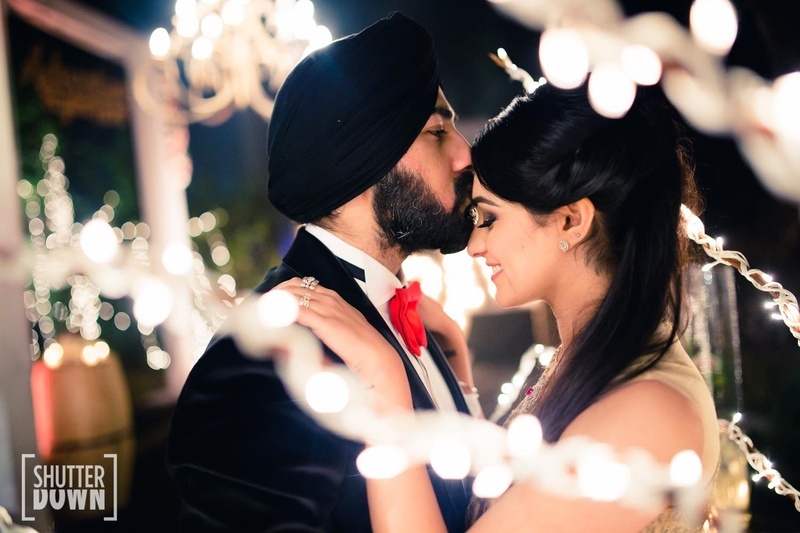 Of course, they fell head over heels in a second! 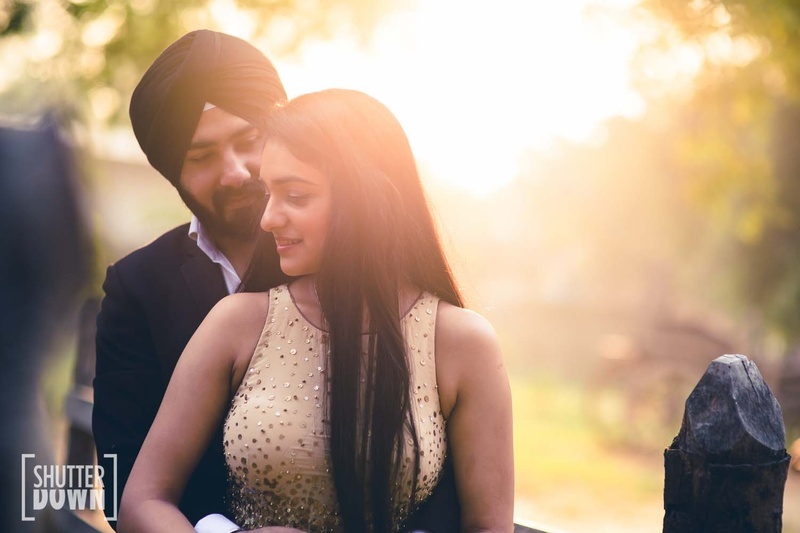 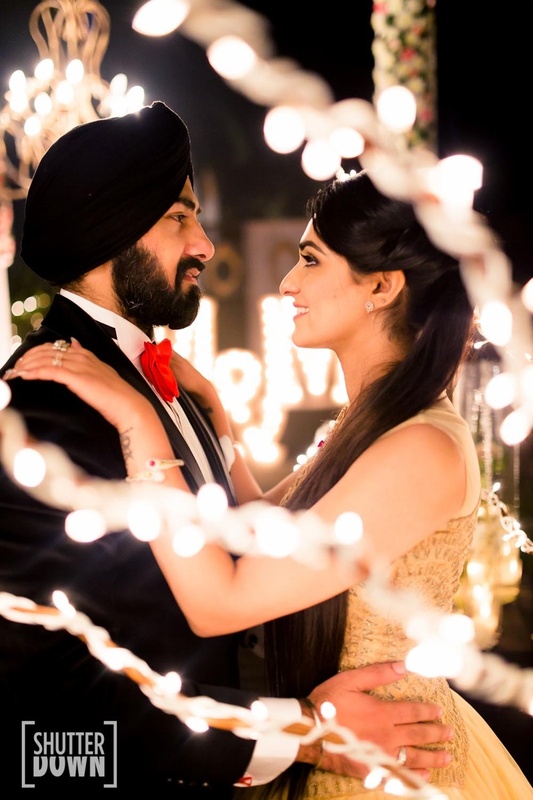 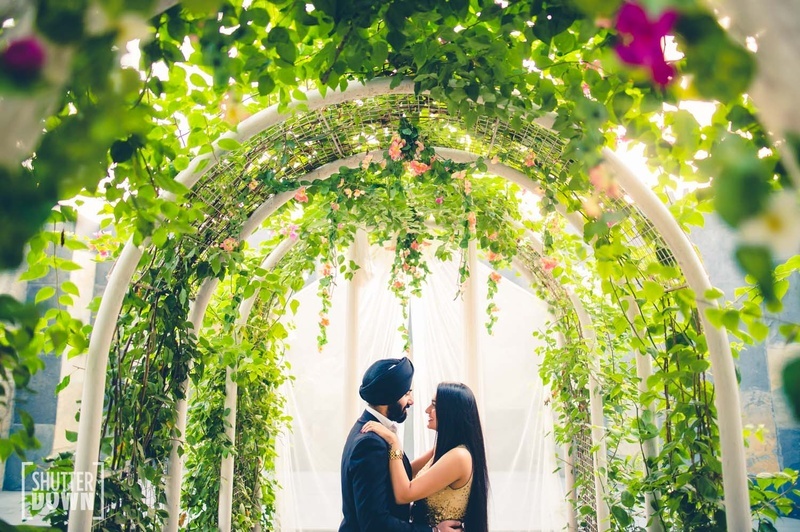 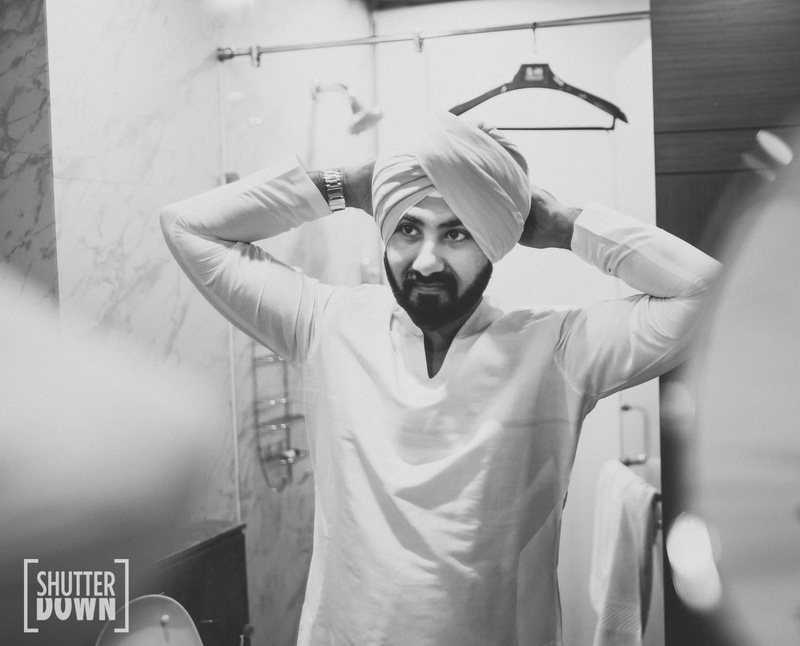 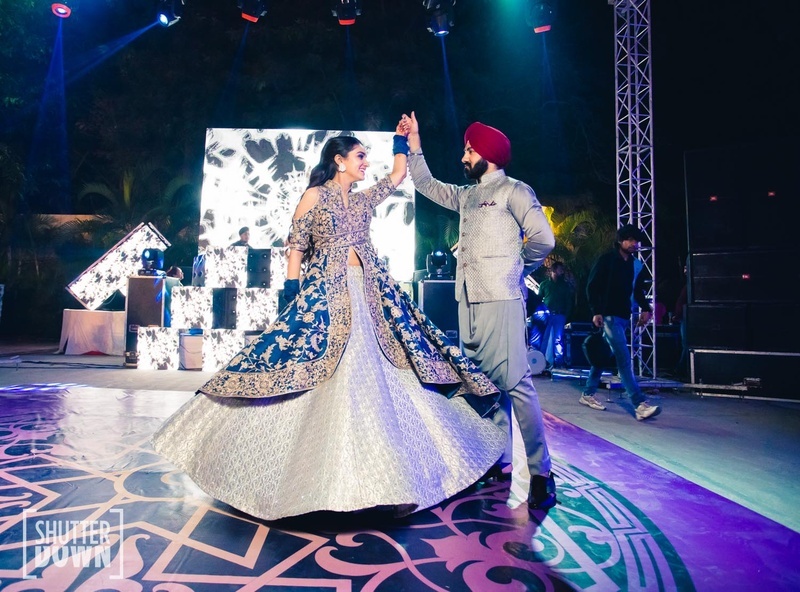 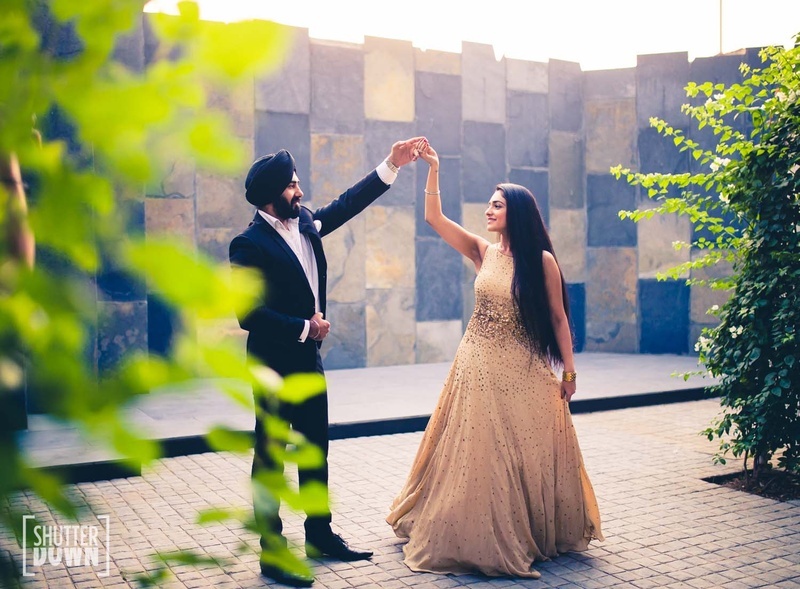 Even though it was an arranged marriage, that didn't stop Manmeet from being the romantic and proposing to Mannat in two elaborate ways! 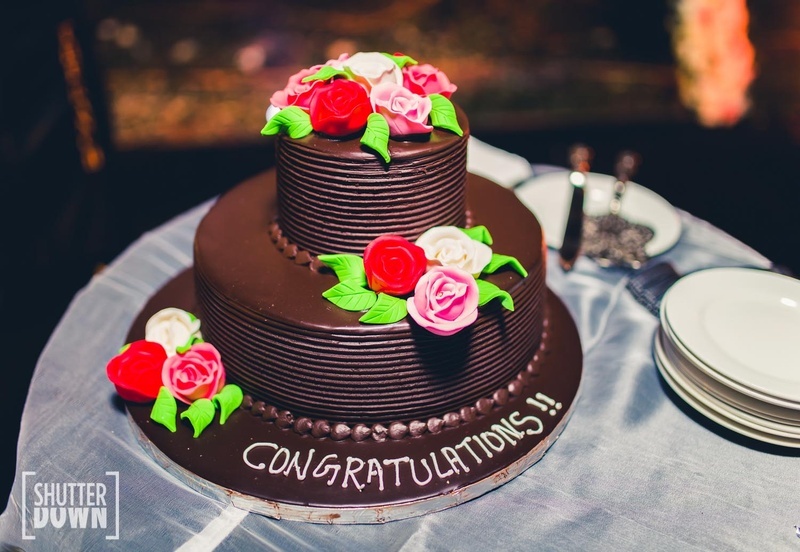 He even got cupcakes involved! 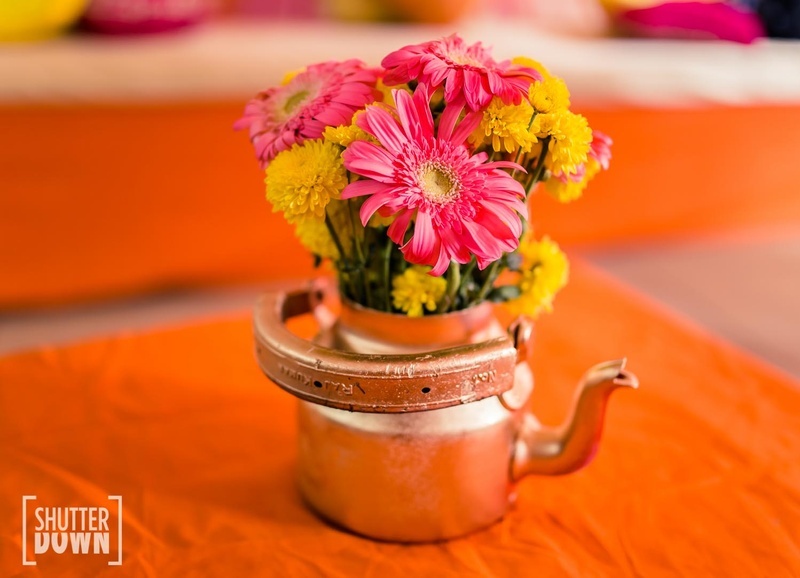 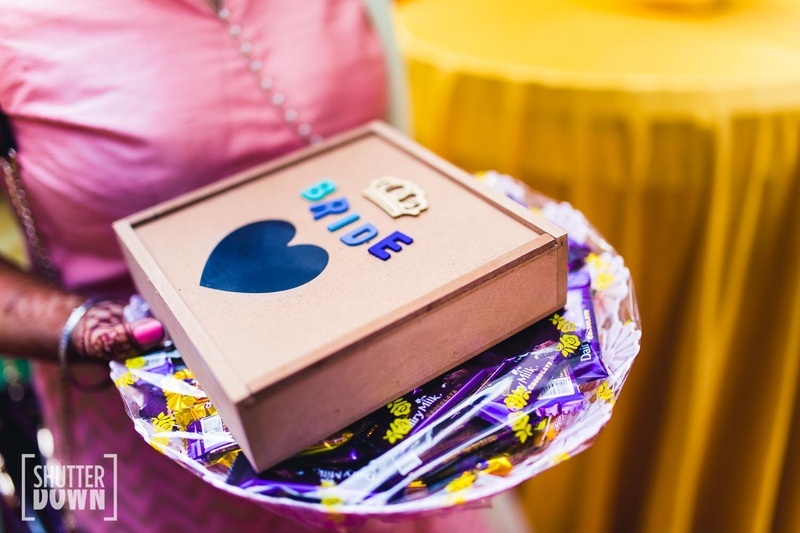 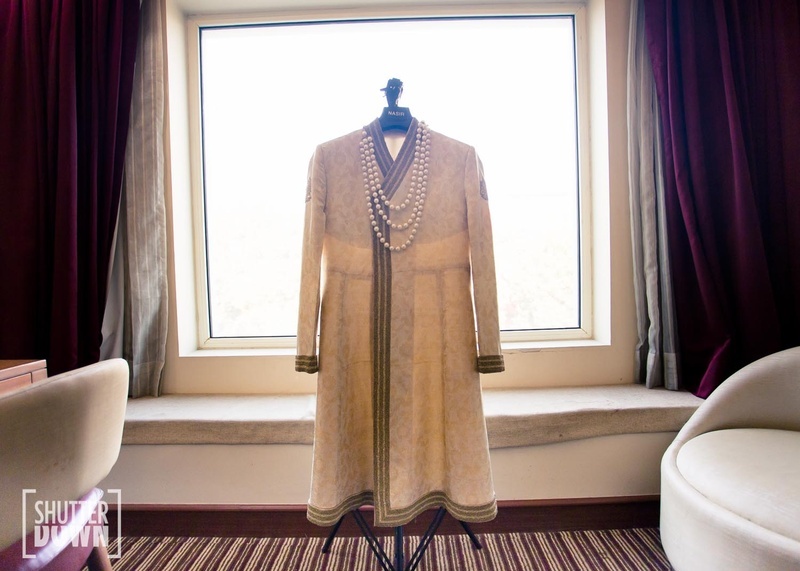 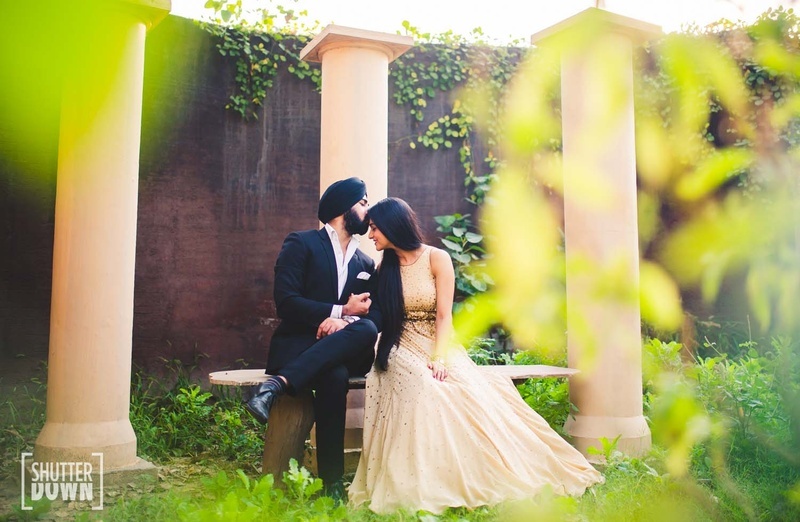 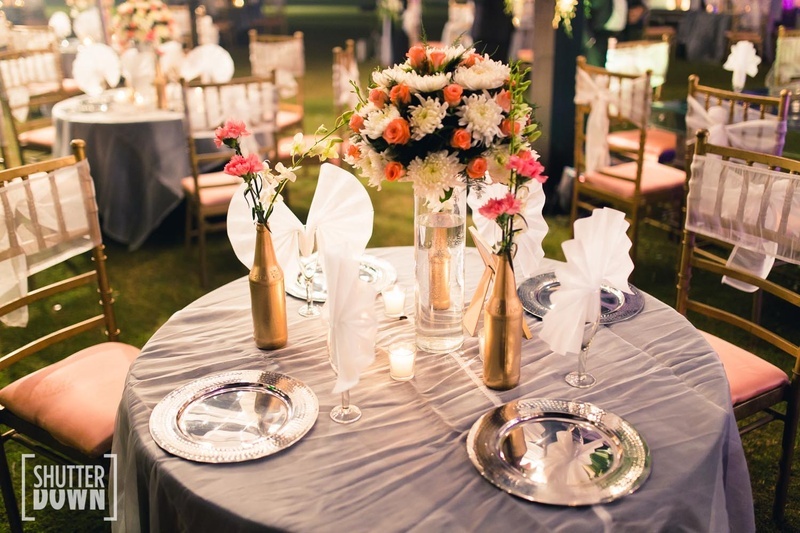 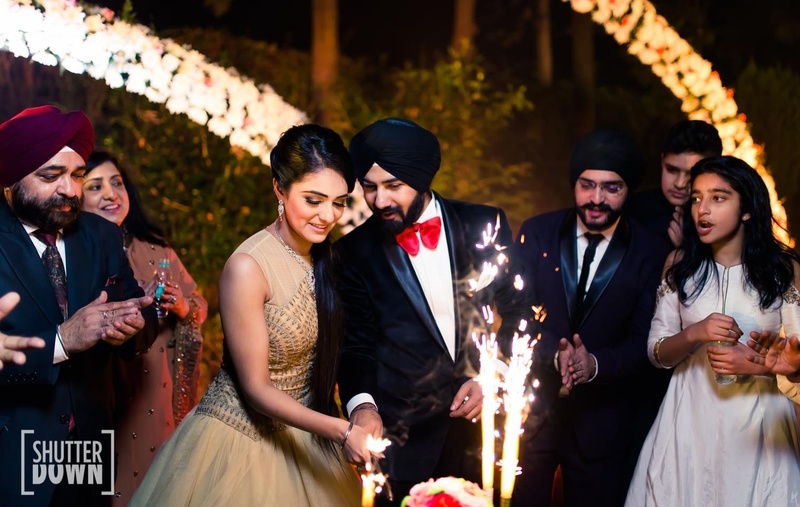 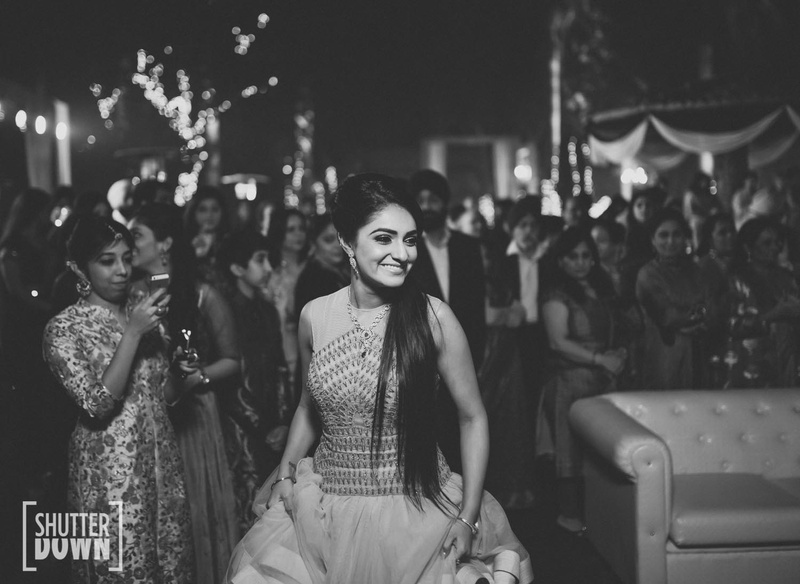 Check out their amazing wedding at Hotel Oodles in Chattarpur below! 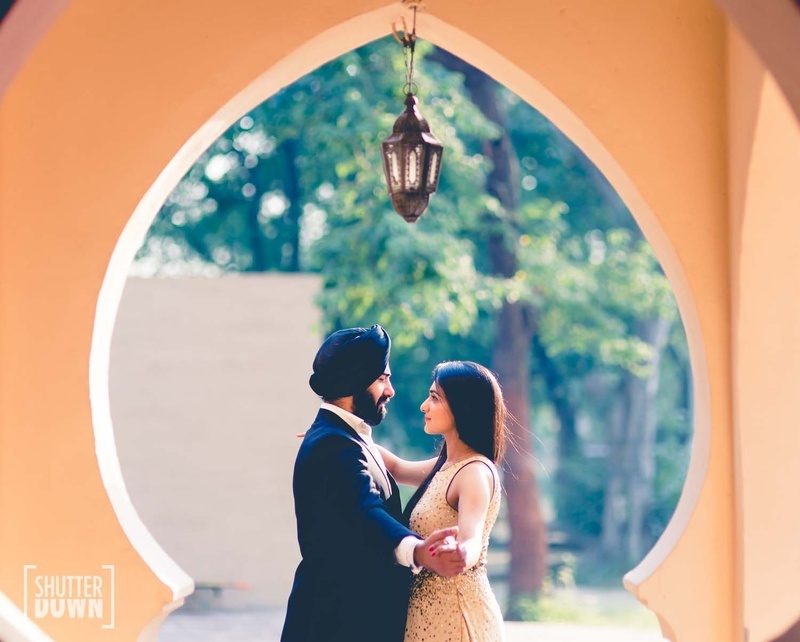 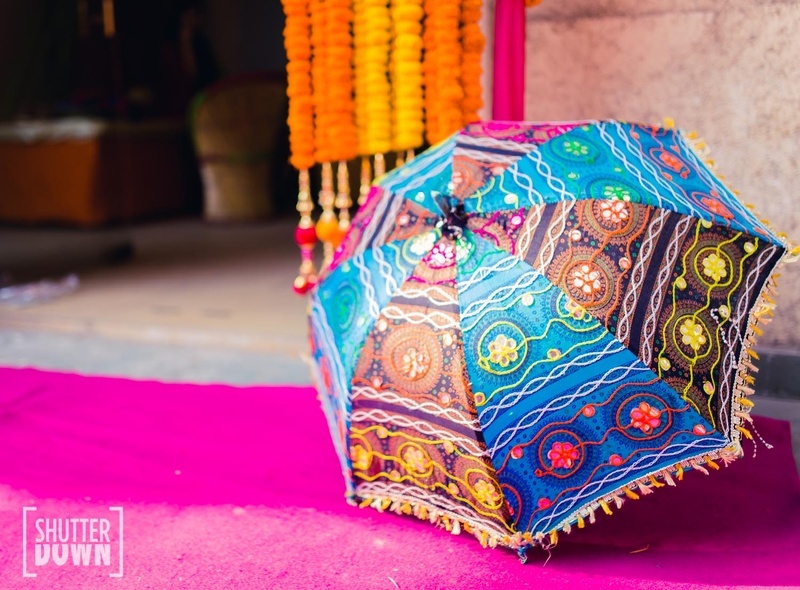 Natural backgrounds look the best when it comes to elegant pre wedding shoots! 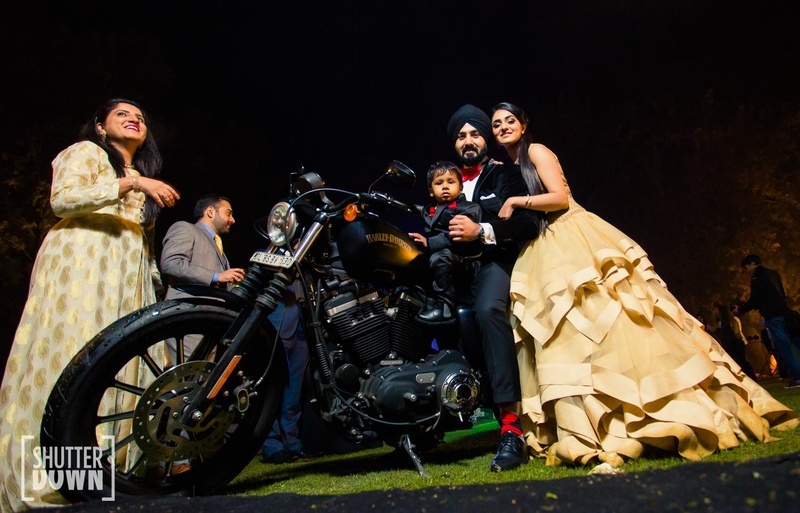 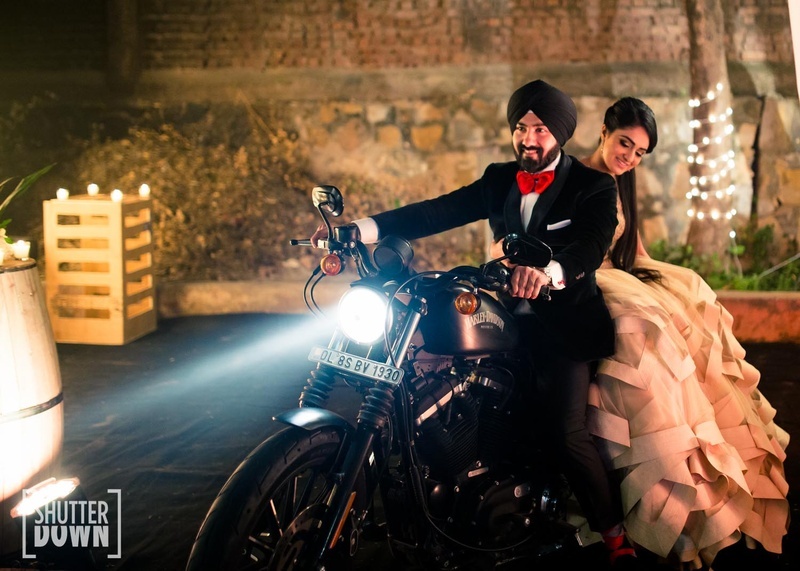 Bride and Groom enter into their engagement ceremony on a Harley Davidson! 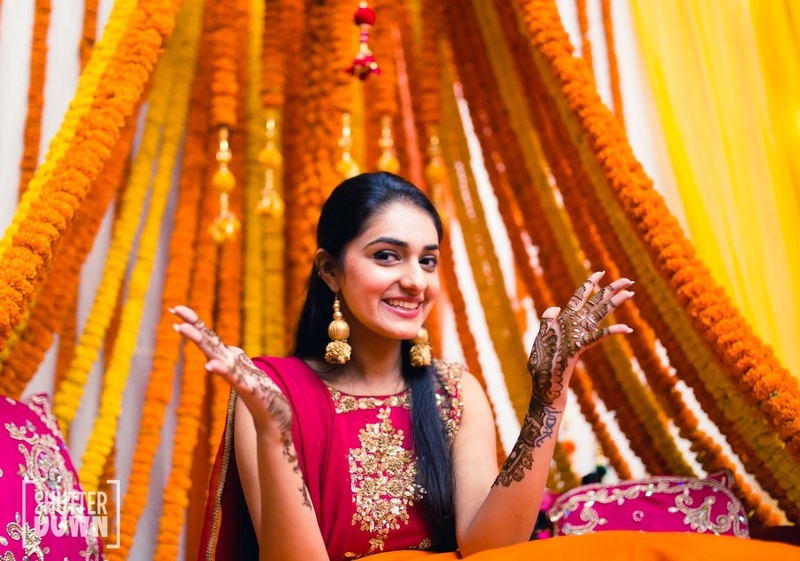 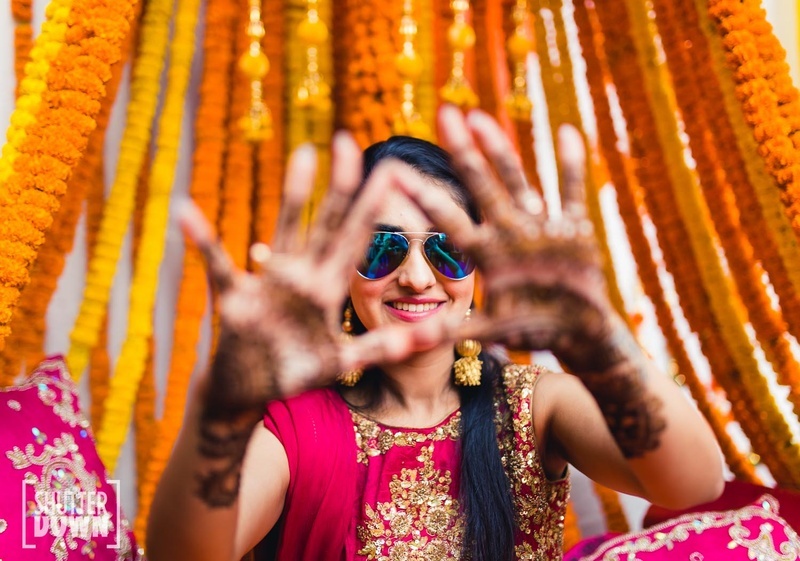 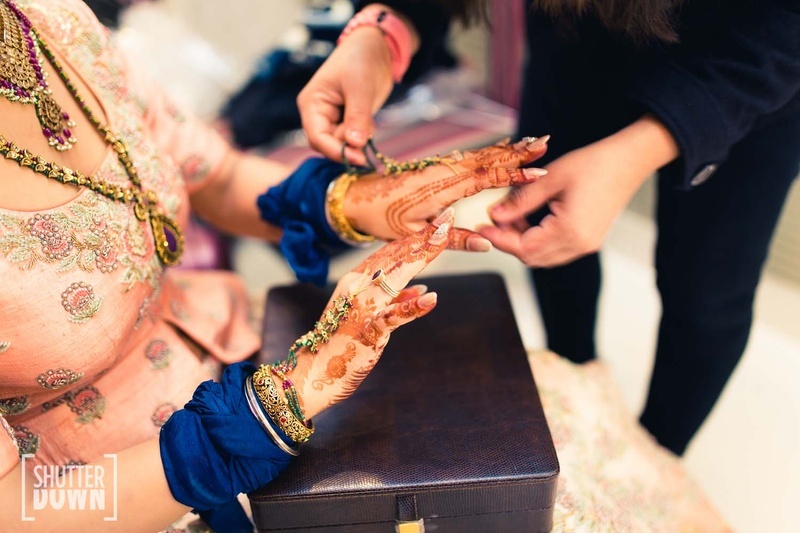 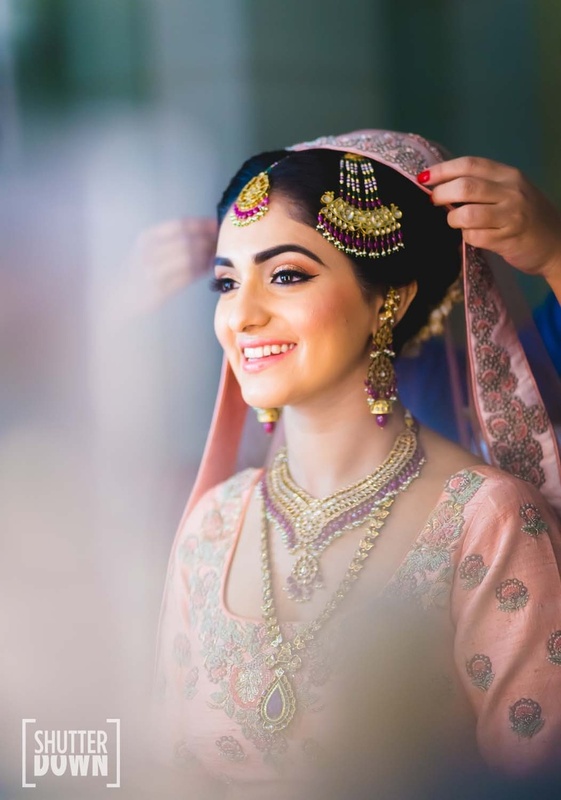 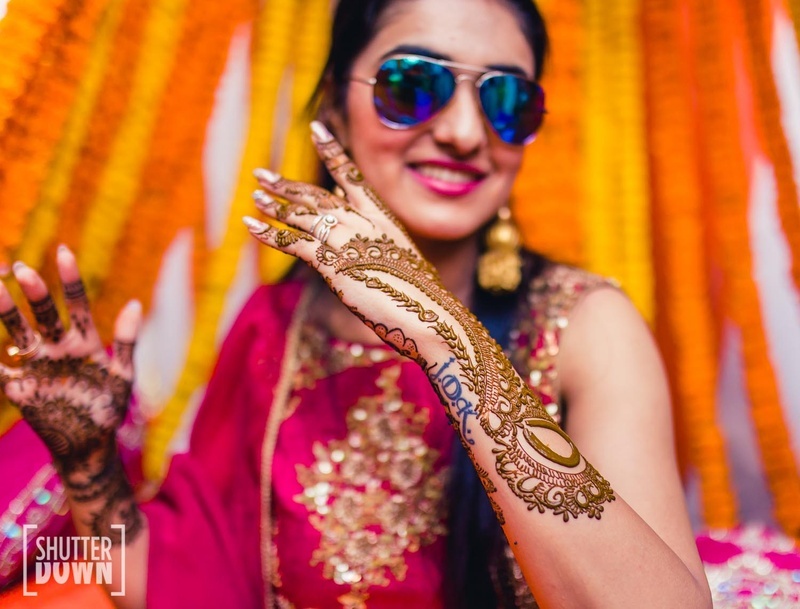 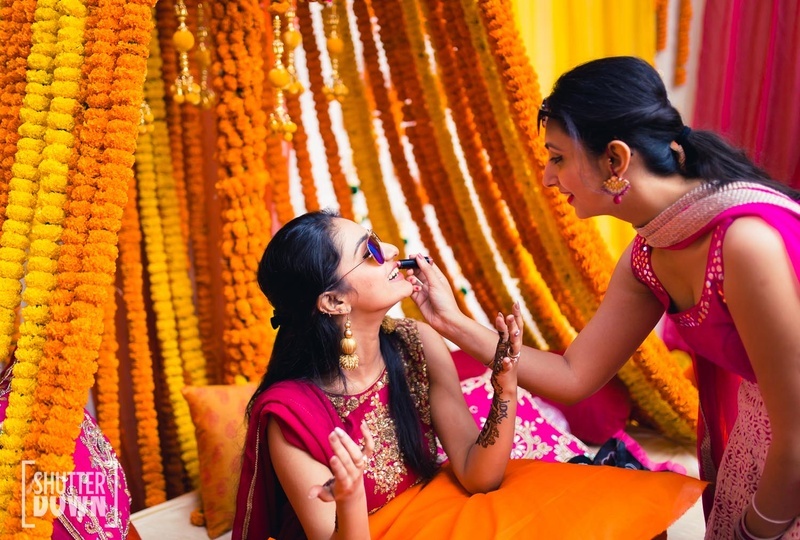 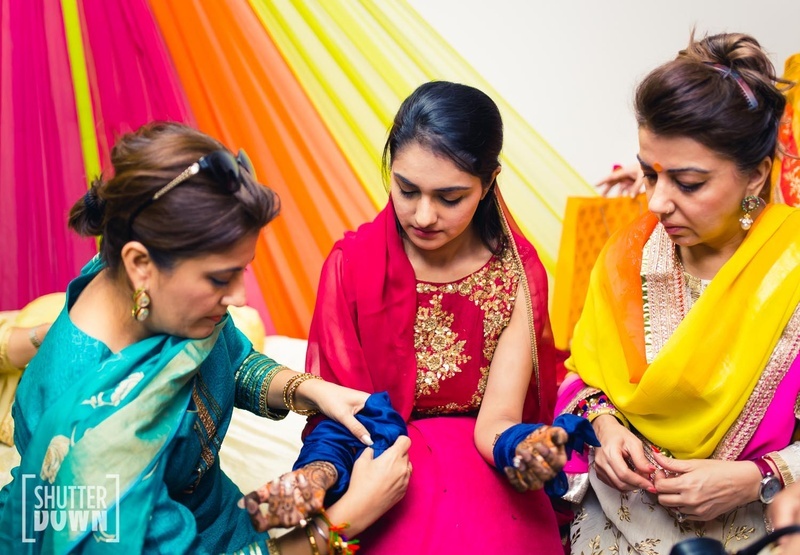 Gorgeous bride poses with her mehendi! 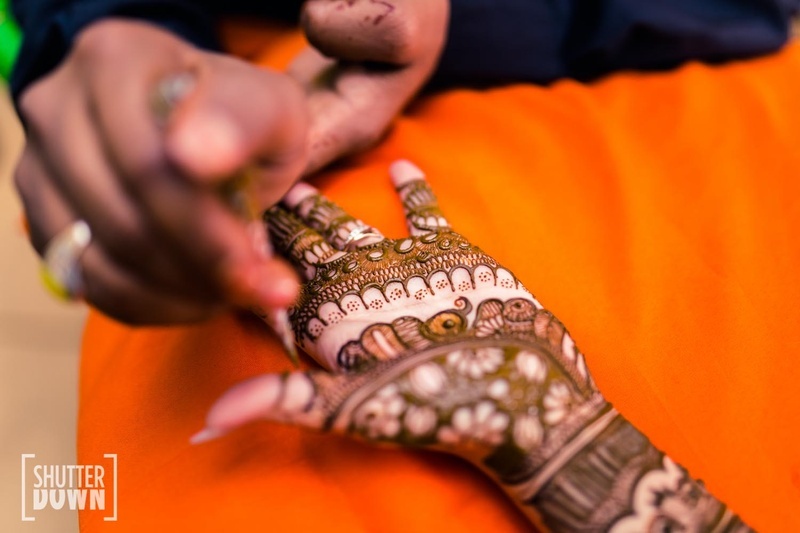 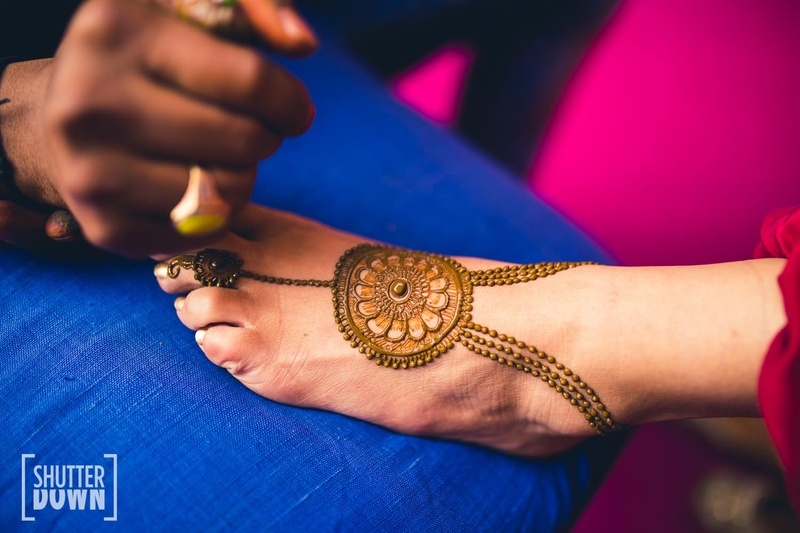 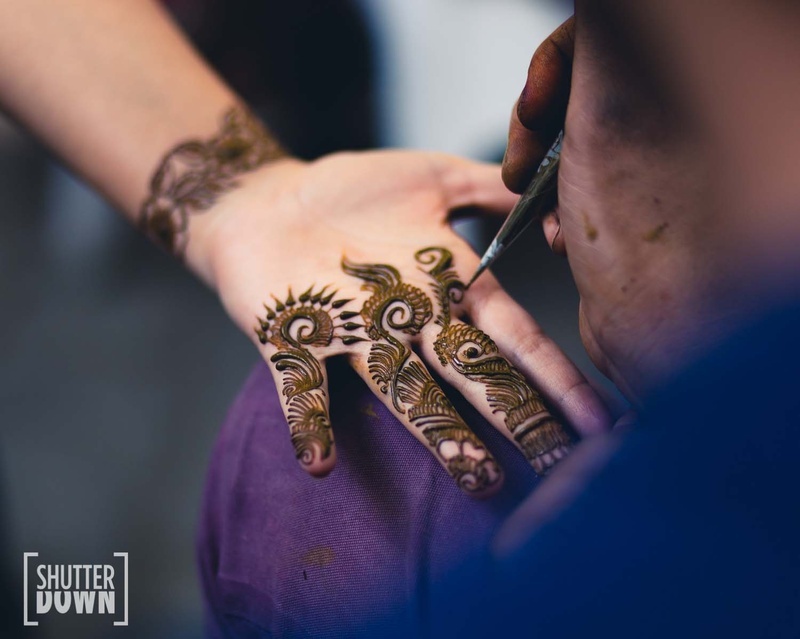 Tattoos and mehendi are the perfect combination!